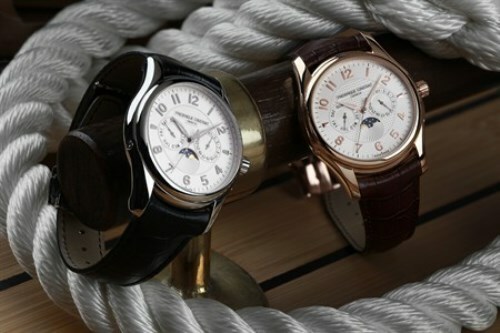 The latest addition to the best-selling Runabout range, Frederique Constant recently unveiled the Runabout Moonphase at the 39th annual Lake Tahoe Concours d’Elegance Wooden Boat Show in Carnelian Bay, California. 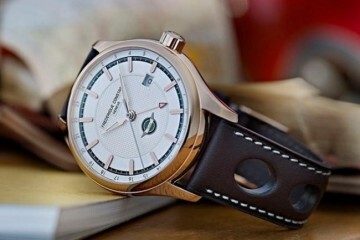 Featuring a case diameter of 43mm and presented in stainless steel or rose gold, the new Runabout Moonphase offers finely-decorated silvered dials. 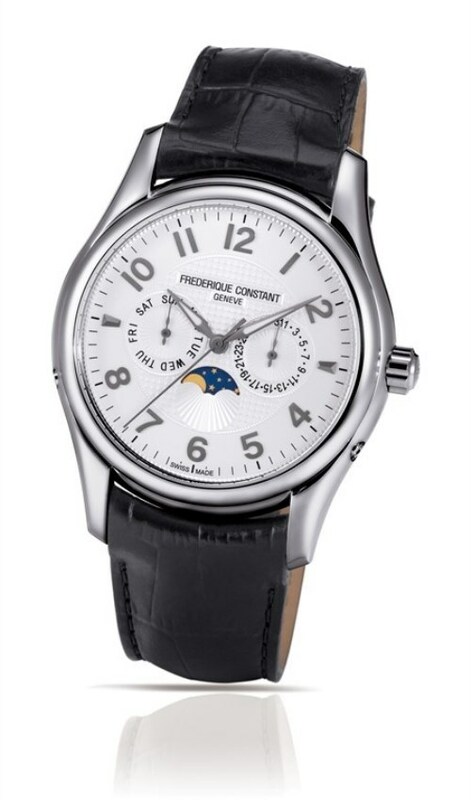 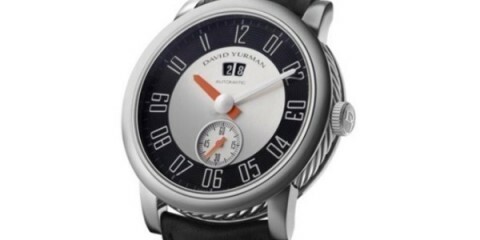 A variety of pointers, including the hand-applied Arabic indexes, Day-date and Moonphase indicators are positioned against a delicate guilloche backdrop. 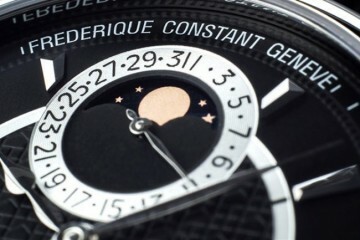 The decorated automatic movement can be admired through the sapphire case-back. 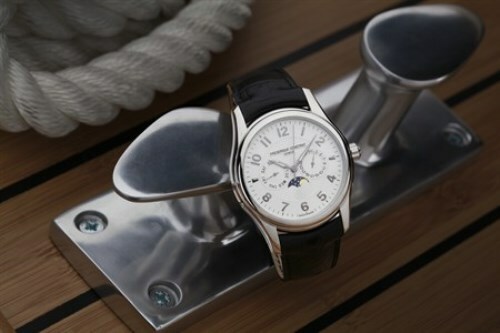 Available in a limited quantity of 1,888 pieces, each Runabout Moonphase timepiece comes with its own handmade wooden case and a miniature reproduction of a classic Runabout boat. 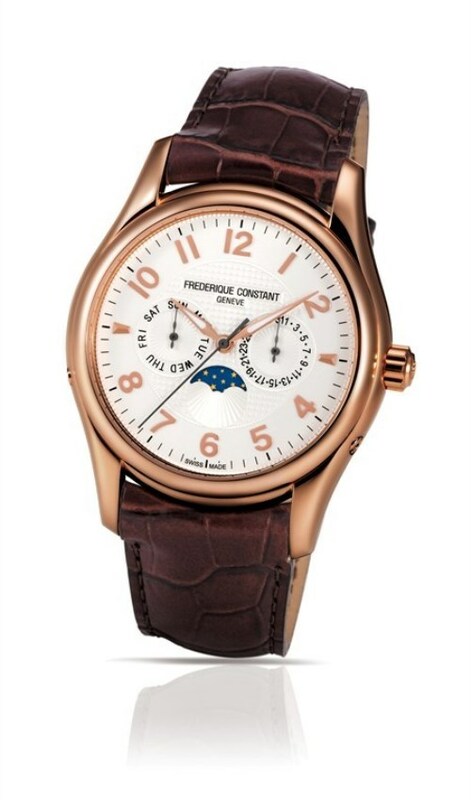 As official sponsor of the 39th annual Lake Tahoe Concours d’Elegance Wooden Boat Show, Frederique Constant awarded the “Best of Show” with an exclusive Runabout Moonphase timepiece.